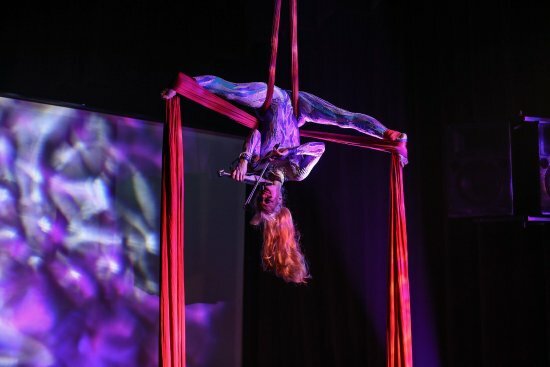 In the all-new Janice Martin Cirque Show, Janice Martin captivates as the world's only aerial acrobatic violinist performing jaw-dropping feats high in the air while masterfully astonishing audiences with her amazing violin playing. Also experience the intense magic and music of pianist Dr. Ashton Wickfield, the sweet melodies of rising country music star Dakota Rose, the fun and fabulous Pop Star Iris, the loveable comedian Hugh Heifer, Catgirl and the Cirque Harlequin Oupsay! 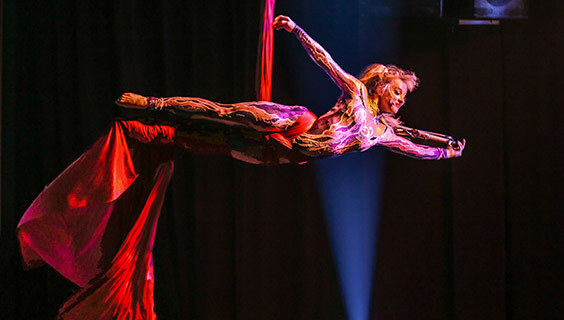 Hear world-class level performances of cirque, pop, country, rock, magic, comedy and symphony that transport the audience to another realm, creating an amazing, delightful experience! 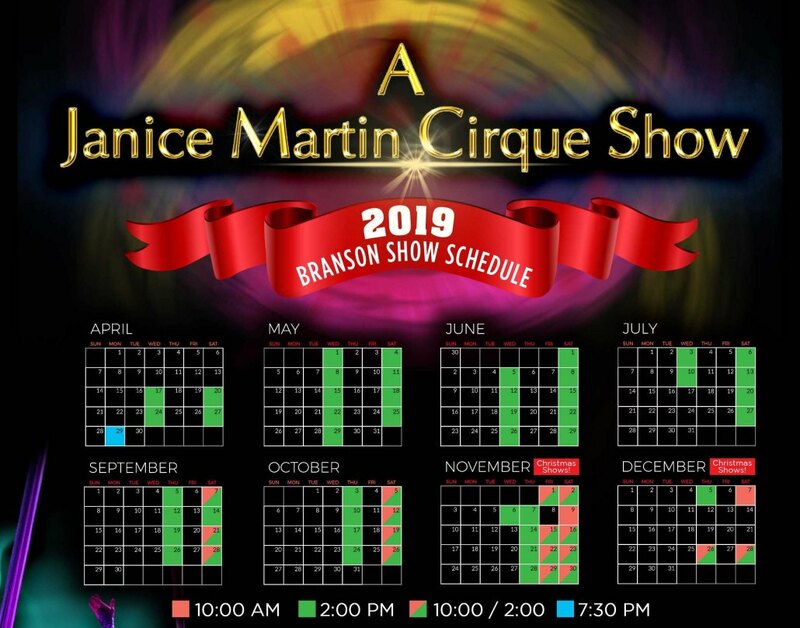 The Janice Martin Cirque Show will leave you inspired and wanting more as you watch astounding spectacles and illusions right before your eyes that unfold an engaging and dramatic story. Be prepared to laugh until your sides hurt, tap your toes to your favorite songs and be awed by the talented cast backed up with incredible special effects. There is not another show like it in Branson! Refreshing and fun for the whole family, you will leave knowing you have seen something truly unique at The Janice Martin Cirque Show. 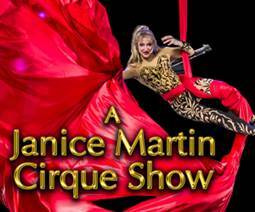 The Janice Martin Cirque Show is at 10:00 A.M., 2:00 P.M. and 7:30 P.M. on select days, check schedule for details. Last Show is on Saturday, December 28th at 2:00 P.M. Taxes and Fees may apply.